Jenny Wilson is a retail researcher, lecturer and consultant who has worked within the premium and luxury fashion sector for over 10 years. She started her professional career in retail store management in her home country of Scotland and latterly London, whilst completing her BDes (hons) degree in Product Design and latterly her Masters degree in International Fashion Marketing. Upon graduating, Jenny moved into recruitment and training, allowing her to work with a variety of brands spanning from fast fashion through to the more premium and luxury sectors of fashion and retail. This gave her the opportunity to maintain working across the UK but also work in markets as far afield as South Africa. After turning her hand to lecturing in fashion retail management and marketing in 2013, Jenny became a full time member of the Fashion Business School, London College of Fashion. She has since guest lectured in Spain, Italy, The Netherlands, and Guangzhou, China. 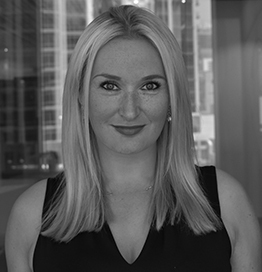 Having recently gained her MBA with a thesis specialising in Omnichannel retailing within the luxury market in the UAE, she is currently CFD’s program coordinator for the Bachelor in Fashion Business Management degree, is a member of the Chartered Institute of Management and serves as an external examiner for fashion programs in London and Paris respectively. She will be starting her PhD candidacy specialising in Omnichannel retailing in the fall.